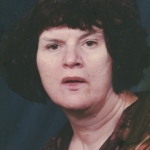 Sharon L. Mills, age 68, of Erie, passed away on February 24, 2019 at UPMC Hamot. Sharon was born August 7, 1950 in New Albany, IN, daughter of Ralph and Mary McGlothlin Mills. In addition to her parents, she was preceded in death by a brother, Raymond “Bud” Mills. Sharon grew up in Harborcreek and later moved to Waterford. Sharon and her mom would walk “uptown” daily checking the mail and visiting with many of the local businesses. Anyone who knew Sharon knew of her love of coffee. If you were visiting, making her a cup of coffee was a requirement. Sharon spent countless hours on her swing greeting everyone passing by. Later, Sharon moved into a Supportive Living Services group home where she lived for many years with housemates Mary, Cheryl and Paige. Sharon enjoyed many activities with her housemates, including attending sporting events, eating dinner out, shopping, going to parties and much more. But, at the end of the day, she had to have her coffee above all else. And yes, Sharon, you were always “a good girl”. Sharon is survived by one sister, Shirley Warfield, and two brothers, Ralph “Ed” Mills and Michael Mills. She is also survived by many nieces and nephews. Special thanks to the all the staff at Supportive Living who loved Sharon and cared for her over the years, too many to mention without missing someone, but you were like family to her. 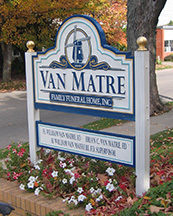 A memorial service will be held Tuesday, April 2nd at 6:30 p.m. at the Van Matre Funeral Home in Waterford. Burial will be at Waterford Cemetery.